The book consists of selected extracts from the pieces that Richard Barr wrote for the Solicitors Journal for 40 years. He didn’t know when he edited it, and when it went to press, that the Solicitors Journal was just about to close. It serves as a fitting memorial. I have an added interest. Civil Litigation Brief was a monthly column in the Solicitors Journal for 17 years. On occasion the contents of my column would draw comment from Richard who wrote on the back pages. Usually along the lines of “Gordon Exall – spreading doom and gloom amongst litigators everywhere” (so much has changed, there are – of course – no procedural pitfalls at all for litigators now) [and I am just the messenger anyway]. However this is the first time I have had the opportunity to write about Richard. This is a dish served very cold. The individual columns serve as a record, a social history almost, of changes in the legal profession over many decades. I say 70 years because I would start with “Death of a Father” which considers a lawyer who started practice in the 1940s. Richard’s father was a solicitor who had set up practice after he returned from serving in WW2 where he was injured when his tank was hit. He was an old-fashioned solicitor of folk lore “All his friends were his clients, and most of his clients were friends… He would make them feel special.” A letter of more than one page was “too long“. He was the local coroner; a member of the community he staged gala days for local charities. His death caused loneliness, lonely for loss of a parent “but lonely also for a past age when being in the law was relevant to daily lives, when solicitors were usually general practitioners and cared for all their clients’ needs from the first speeding offence to the last will“. In 1996 Richard was introducing solicitors to the joys of technology. He explained that email “is short for electronic mail”. He also explained what an internet search was. Difficult to know why he bothered really. It was apparent to all that this internet and “Email” thing was never going to catch on. These pieces also describe Richard’s unusual career trajectory. After 25 years years in one firm in Norfolk and when he was a few months away from becoming senior partner in he moved, lock, stock and caseload, to a London firm to develop his specialist practice in multi-party litigation. However this led to rapid moves, three different firms in seven years. The multi-party litigation wave clearly did not last. At the end of the seven years he was back at his old firm in Norfolk, but not for long. 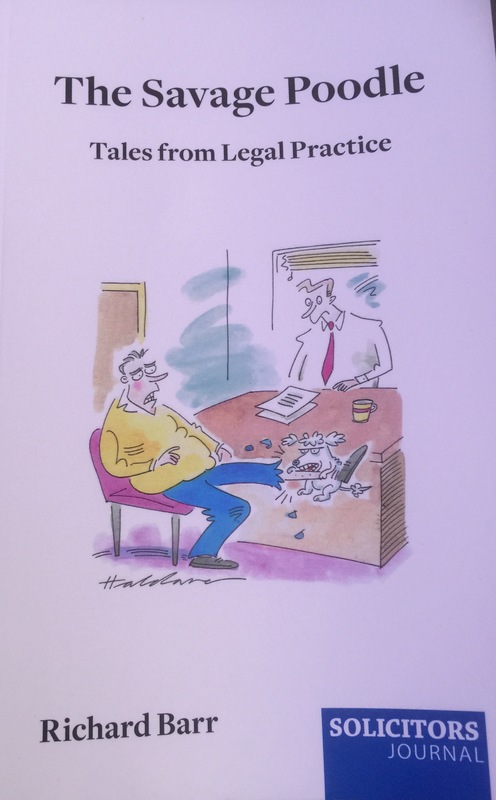 In “Fired” he describes how his attempts to develop a specialist clinical negligence practice led to neither cash nor flow and he was fired – out of a job at the age of 60. This, in turn, led to his practising as part of a “virtual” firm, relying on the internet (oh it did catch on by the way). “You still have to find a way of staving off bankruptcy while you wait for cases to to arrive then finish…” But his career, and his method of working, differs greatly to his father – who never used a dictating machine in his life. 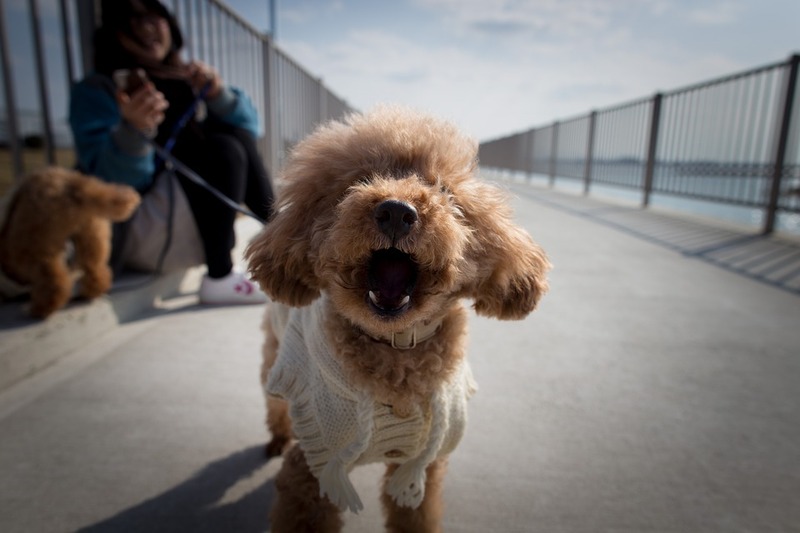 The piece on the “savage poodle” is only peripherally about a dog. Having gone (rapidly) through a number of law firms Richard reaches the following conclusions.